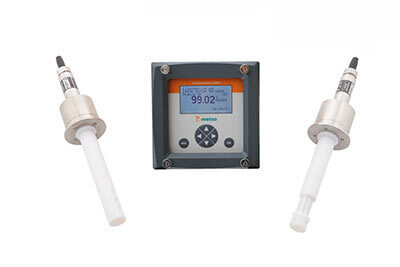 Conductivity and concentration measurement products are well established in the industry. 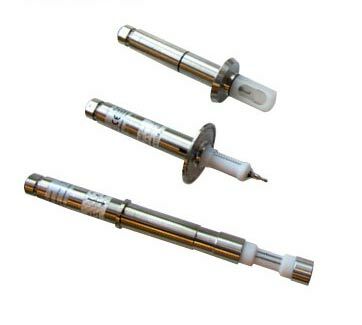 Their proven and tested technology in demanding process industry applications have a strong and leading role in many measurement and control applications in pulp and paper, chemical, power, pharmaceutical, and food industries. Despite the application, the sensors are maintenance free and accurate. Rugged housing with front window of shatter-proof glass. 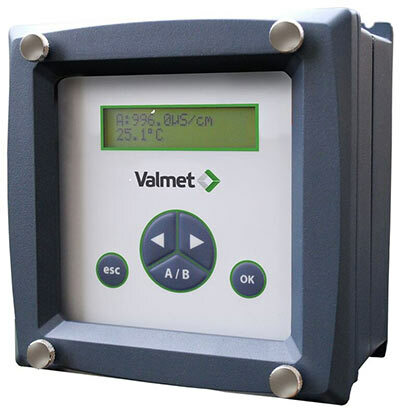 Illuminated display that shows the sensor channel, conductivity, units, temperature, and alarm status. When using two channels, both conductivities can be displayed simultaneously and differential conductivity or conductivity ratio can be programmed. Moreover, the display has an interactive menu-based set-up. Protection of programming by password. Any of the sensors can be calibrated from the keyboard. At low conductivities the effect of the cable stray capacitance and leakage becomes significant, depending upon the cable length. 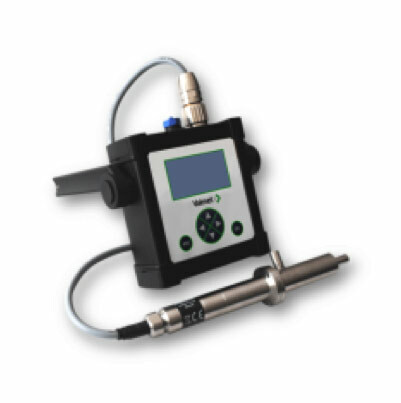 The built-in cable compensator measures the error signal and compensates for it.